Mia has always loved dreamcatchers. She has a tiny one on the bookshelf near her bed and had been asking for a larger one to hang above her bed for a while. One day the idea came to me that we could make our own dreamcatchers so off to the craft store we went to gather everything that we needed! 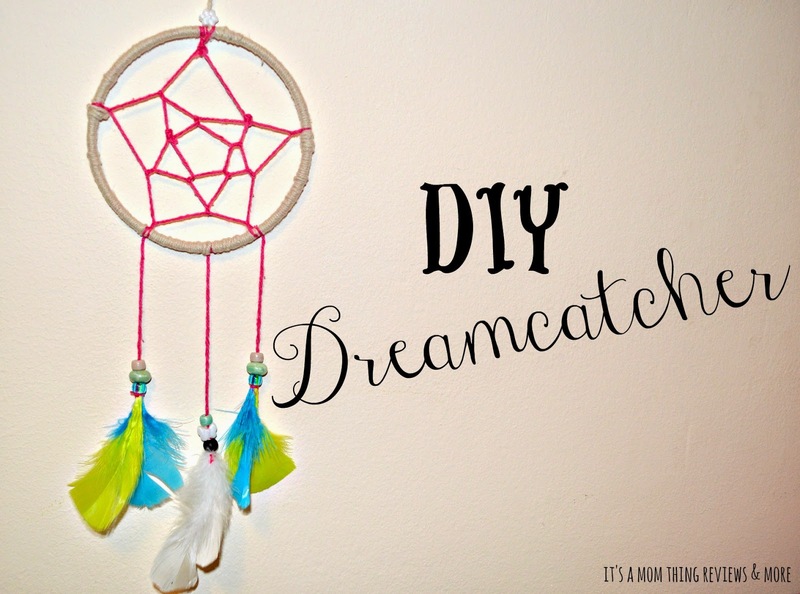 Making dreamcatchers was much easier than I expected and was a fun craft for us to make together! I hope that you make these dreamcatchers too! 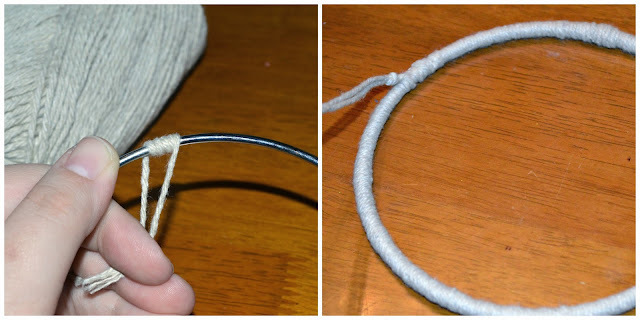 Start off by taking the end of the yarn and begin wrapping around the metal ring. While wrapping the ring be sure to pull the yarn so that it is taut. Once the entire ring is covered with yarn tie a knot at the end. Take yarn and wrap it around the ring at 5 or more points being sure to pull it tightly. When you are done make a knot. Take the yarn again and wrap it around the inside piece that you just attached at 5 or more points, pulling tightly, knot when you are done. Repeat this step but attach to last piece of yarn that you added to the center, wrapping around at five or more points, knot when you are done. You can repeat that step another time if you would like to make another smaller section in the center. Cut pieces of yarn to hang off of the bottom, we used three but you could use as many as you like. Tie the yarn around the end of the feathers and make a knot to hold them together. Slide the beads of your choice onto the yarn and over the feather ends. Once the beads are on attach the strings to the ring in the spots that you would like them. We made a few dreamcatchers but This is one is Mia's. She has it hanging it above her bed and loves looking up at it every night at bedtime. We hope that you try this craft with your little ones and enjoy it!